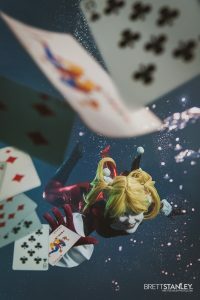 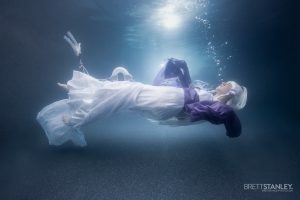 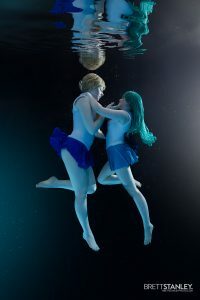 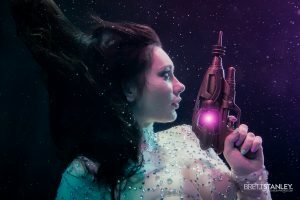 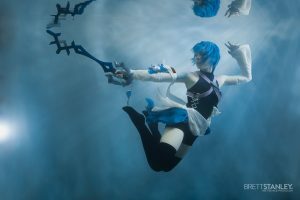 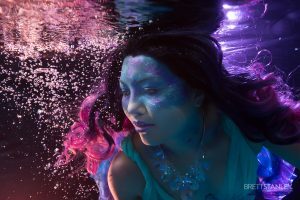 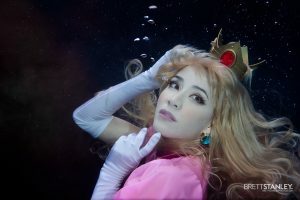 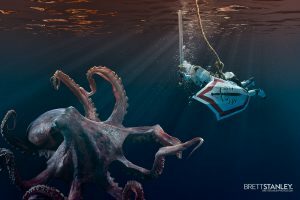 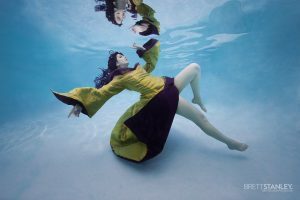 Our underwater photographer Brett Stanley has teamed up with renowned underwater fantasy model Jessica Dru to bring you a cosplay modelling workshop like no other. 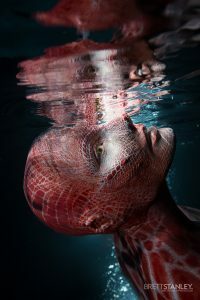 This is a workshop for people of all modeling experience, especially those with none! 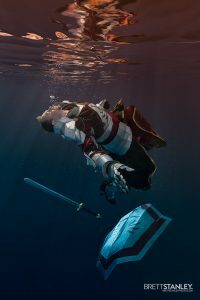 If you’ve ever dreamed of flying or being weightless, or wanted to take your cosplay/fantasy costume photos to the next level this is for you. 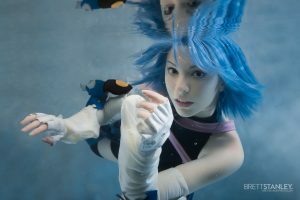 Even if you can’t swim, we can make this an experience you’ll cherish! 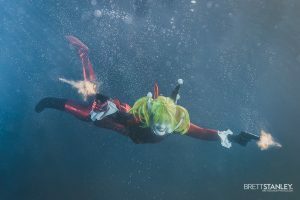 Starting with 1-on-1 training with Jessica, you will be taught how to not only hold your breath underwater but to look amazing doing it. 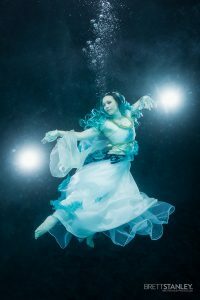 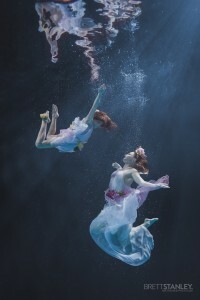 She will show you how to work with garments to make them flow under the water, which poses work best for your costume, and how to stay safe the whole time. 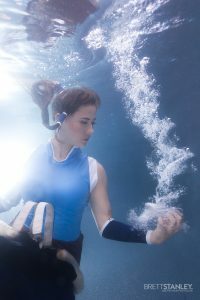 Jessica is a certified freediver so she knows what she’s doing. 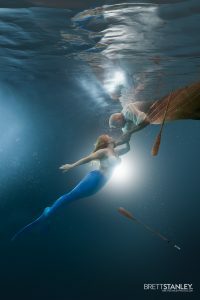 Once you feel confident in the water, Brett and Jessica will guide you through your photoshoot, giving you feedback on the best positions and making sure you are using the weightless dreamscape to it’s full potential. 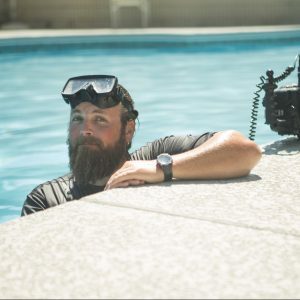 Brett’s instruction will have you relaxed and forgetting the camera is even there, so you can lose yourself totally in the character and environment. 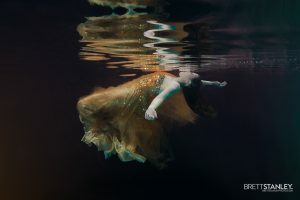 We are so lucky to have Jessica take time out of her busy schedule for this workshop, along with Brett, so we’ve put together a package that will no doubt leave you wanting more! 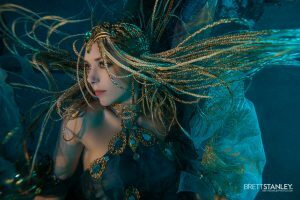 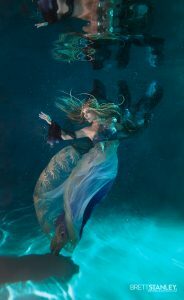 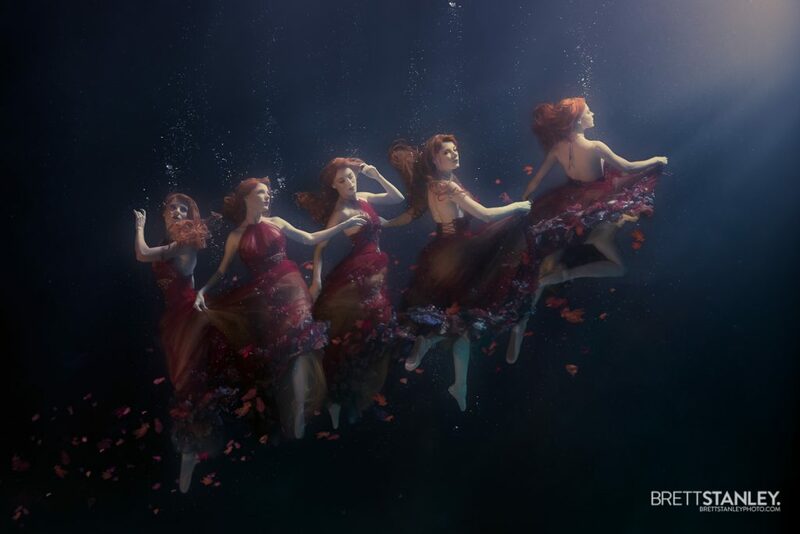 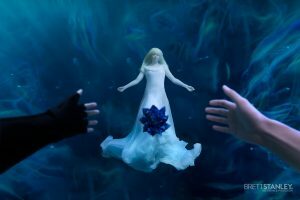 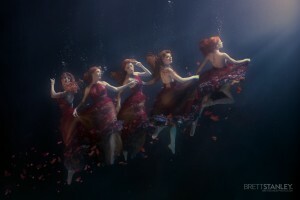 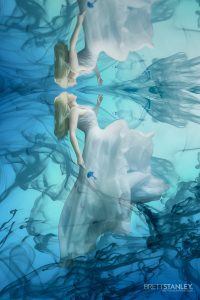 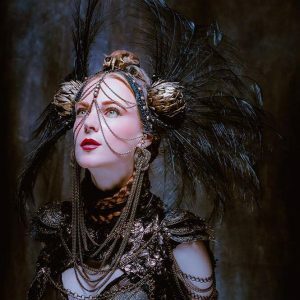 Jessica Dru started underwater modeling in 2012 for the Mermaid Project, and since then worked underwater in the Motherland Chronicles, short films, and music videos. 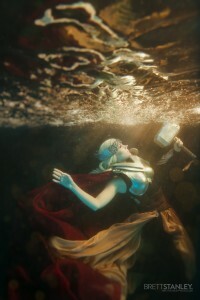 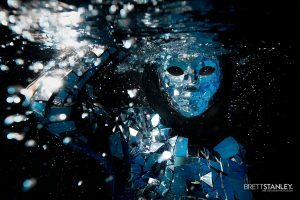 Her passion is to work closely with other artists to realize complicated, costumed, fantasy photoshoots. 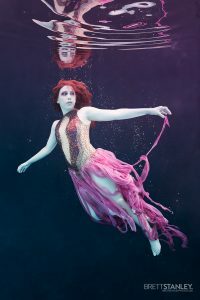 The fantasy projects she’s a part of are innumerable, and are seen in publications like Faerie Magazine, FAE Magazine, D-Photo, and Dark Beauty Magazine. 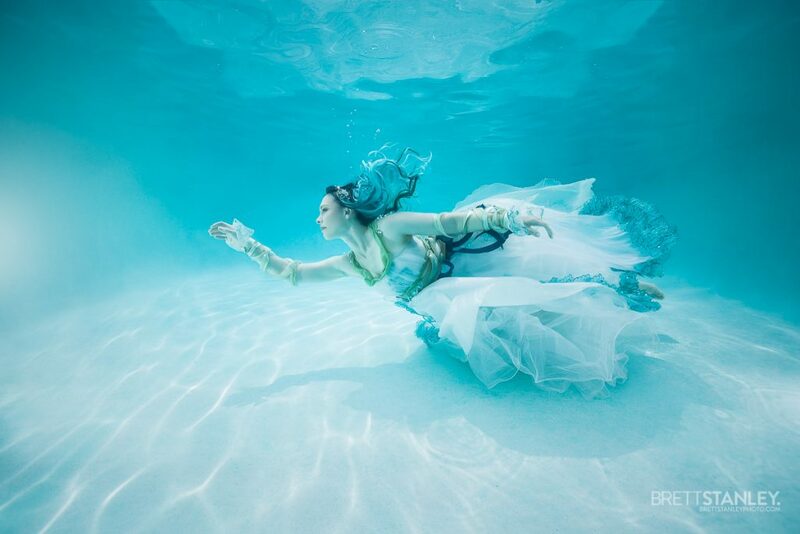 As cross training for the underwater work, she is a trained freediver who can hold her breath for over 3 minutes. 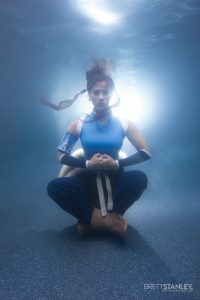 She uses this training to teach others how to get a successful performance underwater, even with less than 30 seconds of breath hold. 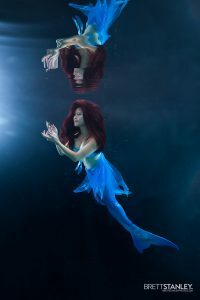 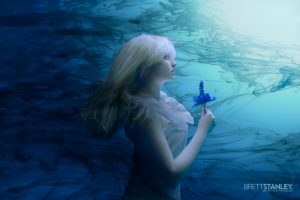 She’s done over a hundred underwater photoshoots and has a wealth of information and experience to create beautiful results safely.